The iconic Mexican sauce not the facial adornment of course. 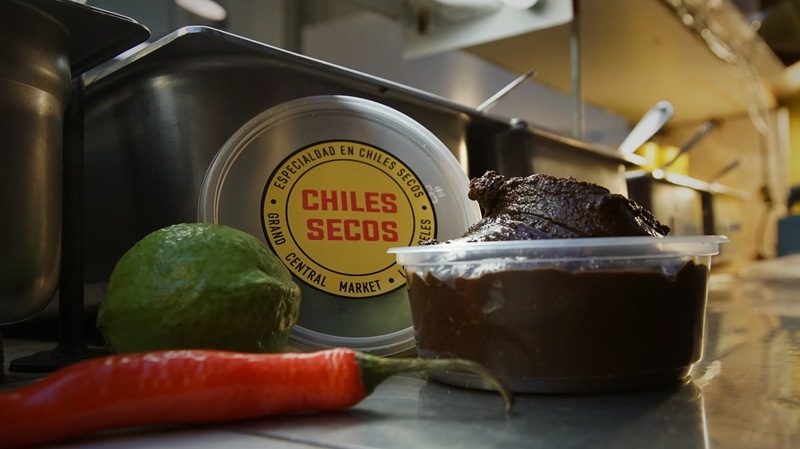 Growing up, mole was the sauce with chocolate (yes, chocolate!!!) that I tried at a few suburban Mexican restaurants and never understood. Was it a dessert or a savoury dish I wondered?? I envisaged a chef breaking up pieces of Cadbury Dairy Milk and adding them to a pot and the whole idea sounded bizarre (although delicious – what dish isn’t improved with chocolate?). 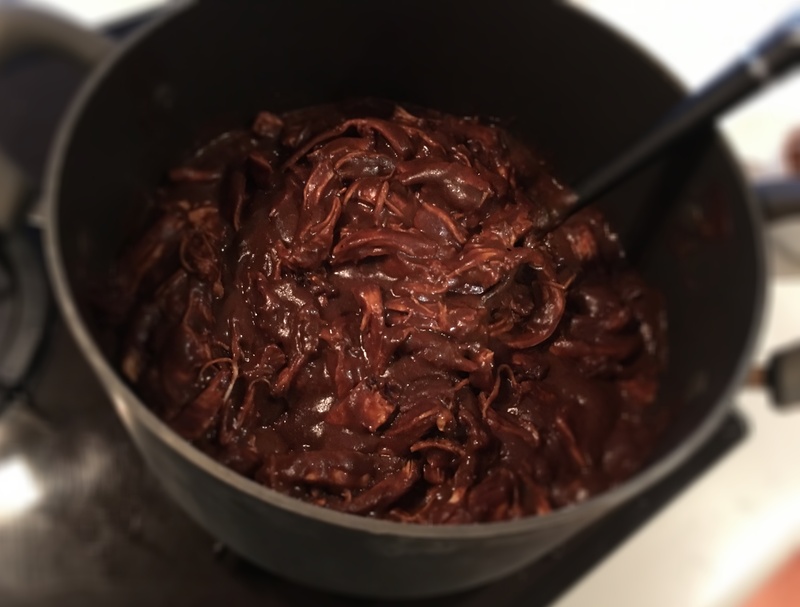 It took a little more culinary maturity before I understood that dark chocolate, with minimal milk solids and fats, was the key ingredient that added a richness and depth to the sauce. Mole of course means ‘sauce’, so guacamole for instance, literally means avocado sauce. 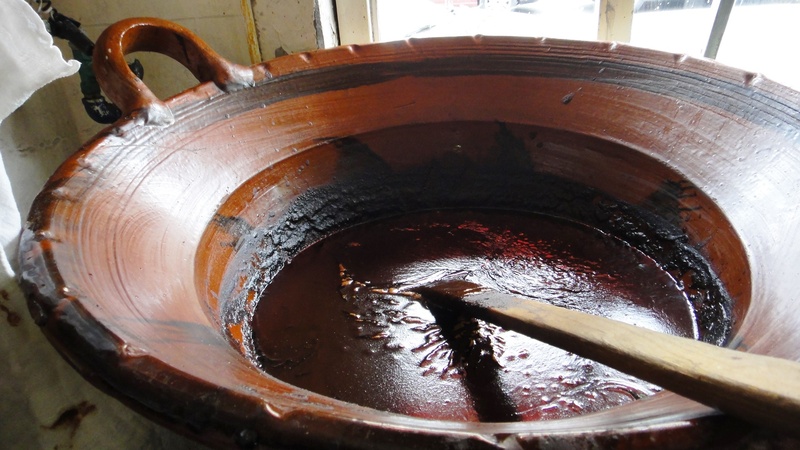 Mole poblano from Puebla is the most famous of all the moles and arguably Mexico’s national dish. Dark chocolate, multiple chili peppers and up to 20 different spices make up this iconic dish. It takes time for the flavours to develop and layer up so it’s usually reserved for special occasions. Sauce in most cuisines is the accompaniment, playing second fiddle to a piece of meat or other hero ingredient. But not mole. Mole IS the dish. It’s the star of any plate and the chicken or other protein served alongside is merely there to accompany the sauce to the mouth. A plate of sauce with a little pile of chicken on the side is not an uncommon sight. 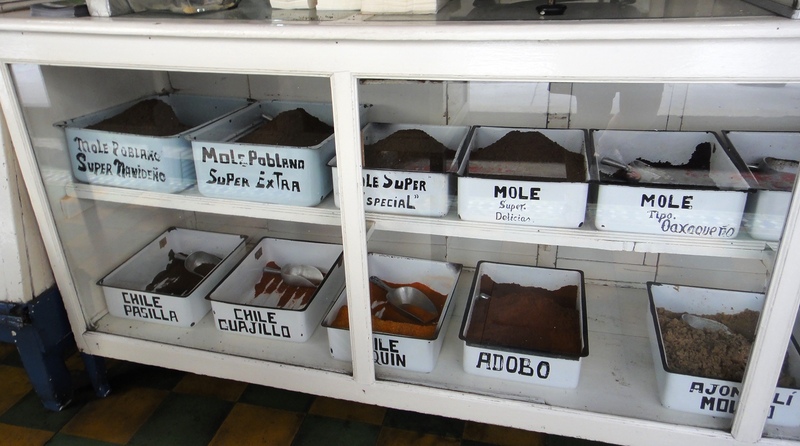 My obsession with mole really began when I went to Mexico. 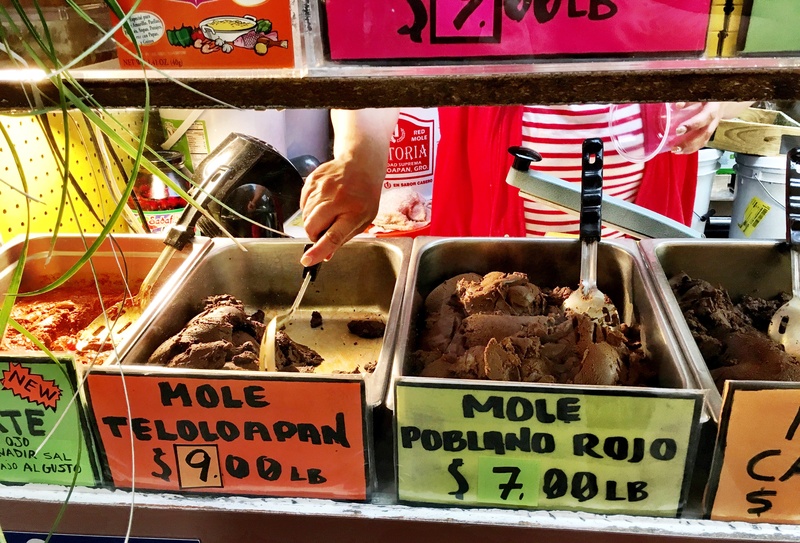 My (only) preparation for a week in Mexico City was a thorough analysis of the best places to find mole, specifically mole poblano. 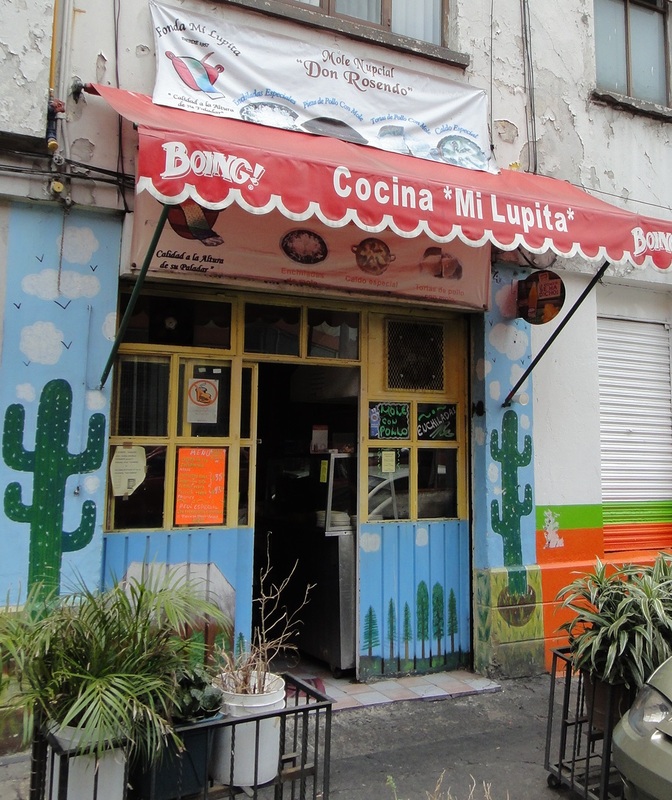 That’s how I came across Mi Lupita, a little ‘fonda’ or casual restaurant in Centro Histórico that’s been making mole since 1957. It was tiny, with barely six tables and no one that remotely resembled a tourist. Perfect. 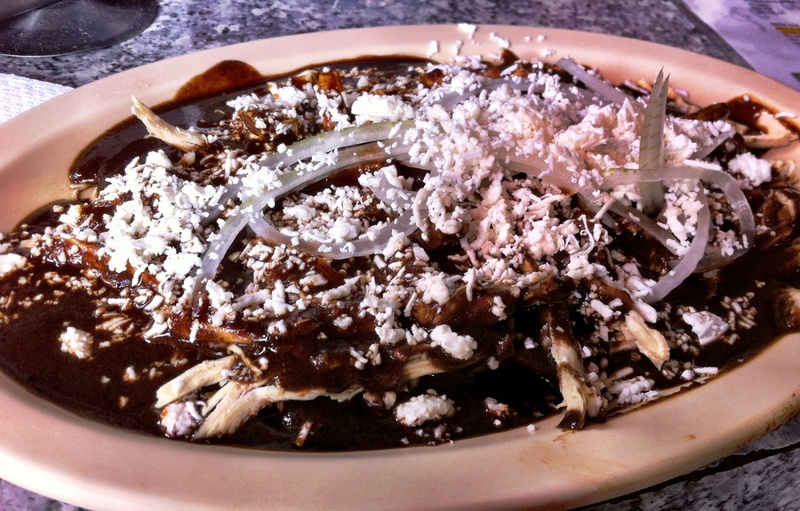 There I had one of the most memorable dishes of my life: a plate of the house special of mole poblano with chicken on enchiladas. Even though I hadn’t tasted every mole in Mexico City, I was sure that this was indeed the best. What could taste better than this? The mole was rich, intense, spicy, smoky, chocolaty. The chicken was lean and the whole dish was topped with onion and grated queso fresco. Further proof shortly arrived at the table next to me. A local food guide was there with four travellers, explaining why Mi Lupita’s mole was the best in the world and I nodded on in agreement. I overheard the guide mention mole spice mix could be bought to take away and I wanted in. I leant over to ask him how to request it and the first thing he wanted to know was how on earth I’d found this secret little place? It was almost as though I’d ruined his surprise. I may not be a local I told him, but I know how to use google to my advantage! I left Mi Lupita with half a kilo of mole in a plastic bag with a knot at the top and somehow managed to get it back to Sydney (thankfully they weren’t filming Border Security that day). I had many a delicious meal from that mole base and wished many times I’d brought double, even triple, back home with me. My mole obsession then abated for a while… until recently when I was in LA, which felt like being back in Mexico (well it was Mexico at one point). The variety, quality and sheer quantity of Mexican food in LA was quite boggling. I ate Mexican food six out of my seven days there and could usually be found propping up the taquerias and cevicherías at Grand Central Market which is a terrific food hub in Downtown LA. 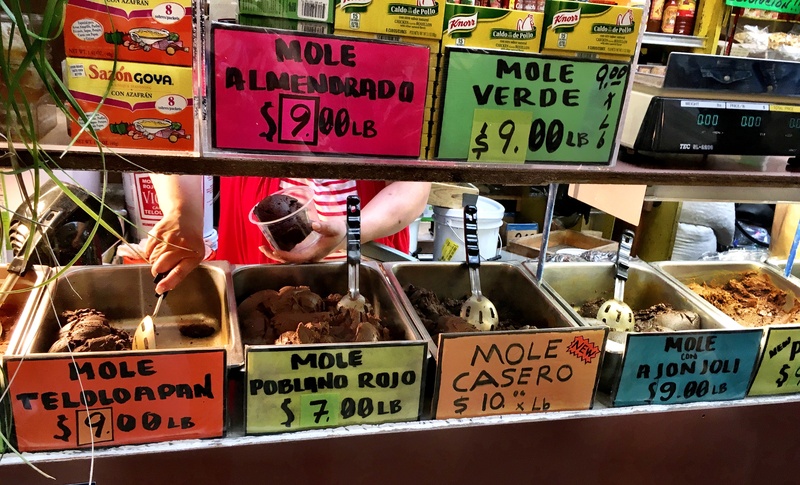 My best find was the Chiles Secos Mexican grocer displaying seven types of mole. Jackpot! I bought a pound of mole poblano and a pound of mole teloloapan (a smooth, sweet and mildly spiced mole from Guerrero) and once again smuggled, I mean transported them back to Sydney. I’ve turned the mole poblano into a heavenly creation with chicken stock and shredded poached chicken and have pretty much eaten this for a week – in tacos, with rice and straight out of the pan because it’s so morishly good. But that’s not the only mole that made it back with me. I also went nuts in the supermarket and bought every packaged mole I could find. 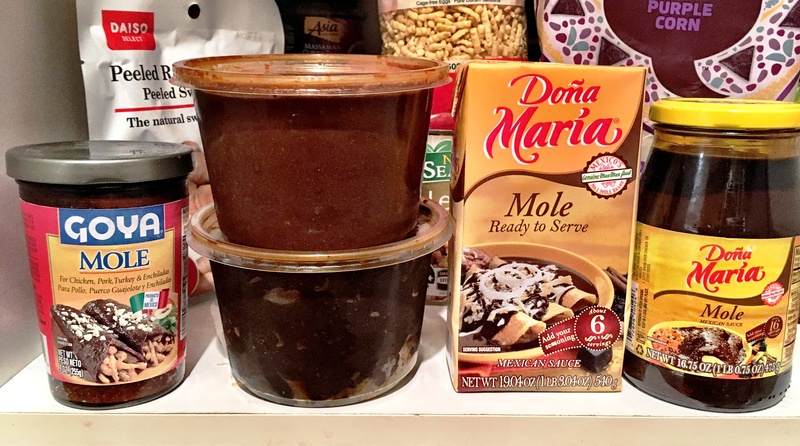 The checkout chick noticed and even offered to send me some of her family’s homemade mole. I laughed it off… but now I wish I’d said yes. My dear friend Carlos whom I met in Mexico has since tried to send me mole but it never made it to me – I suspect packages of brown paste coming from Central American might looks a tad suspicious on arrival. But please don’t let that deter anyone else from trying to send me some of the good stuff! Those enchiladas look divine. I’ll have to go eat there next time I go to Mexico City!